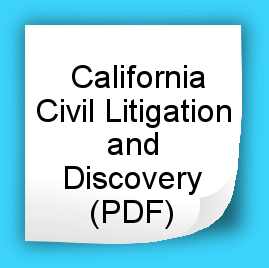 Instantly download a PDF of the most recent version (January 2018) of California Civil Litigation and Discovery (“CCLD”). Instantly download a PDF of the most recent version (January 2018) of California Civil Litigation and Discovery (“CCLD”). No sales tax, no shipping charge, no refunds.